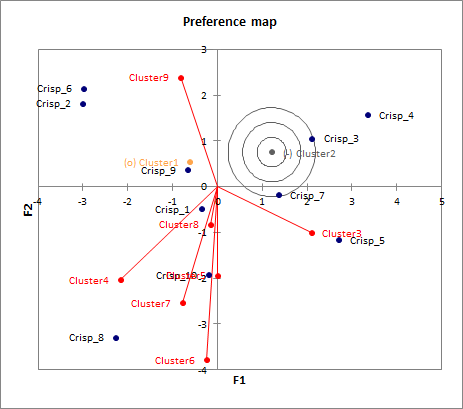 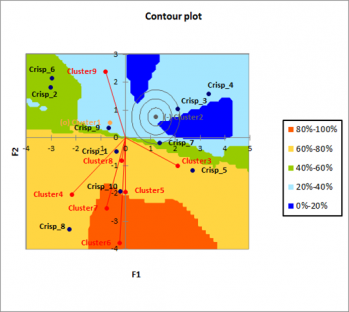 Preference Mapping is used in market research to gain deep insight into product analysis. 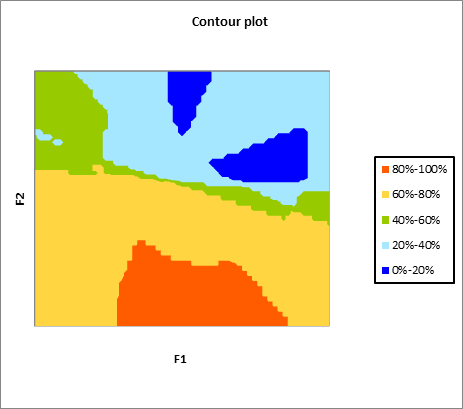 Available in Excel using the XLSTAT statistical software. 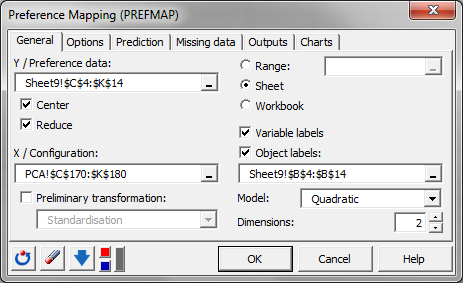 External preference mapping or PREFMAP, which is detailled here. 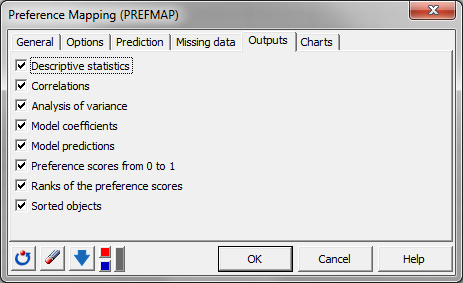 XLSTAT displays detailed results in addition to the preference map to facilitate the interpreting of results. 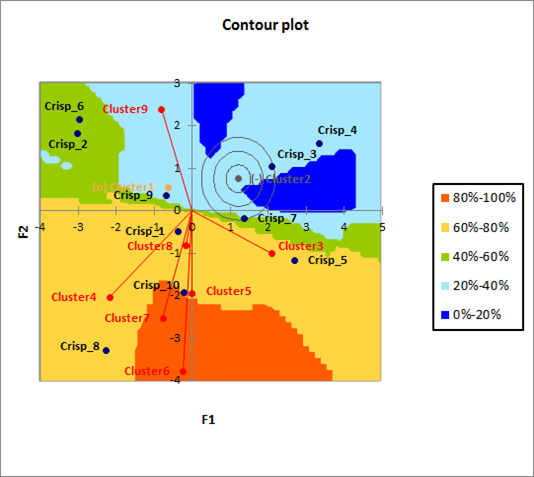 The preference map is a summary view of three types of elements: The judges (or groups of judges if a classification of judges has been carried out beforehand) represented in the corresponding model by a vector, an ideal point (labeled +), an anti-ideal point (labeled -), or a saddle point (labeled o); The objects whose position on the map is determined by their coordinates; The descriptors which correspond to the representation axes with which they are associated (when a PCA precedes the PREFMAP, a biplot from the PCA is studied to interpret the position of the objects as a function of the objective criteria).